Dimensions: Bowl D-5'', H-2 1/4'', Glass D-11''. Art Deco Honey Dish and Apple Tray. 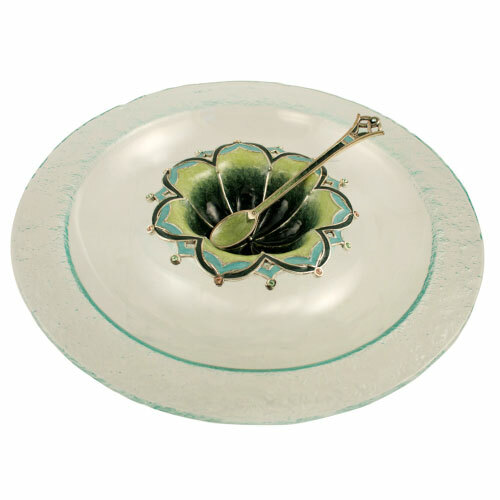 The Honey dection is made of fine pewter and professions finished in Light green, an Silver colors, the tray is textured glass, an exceptional show piece. Design by Marcella and staff. Made in New York City. Measures: bowl D-5", H-2 1/4", Glass D-11".